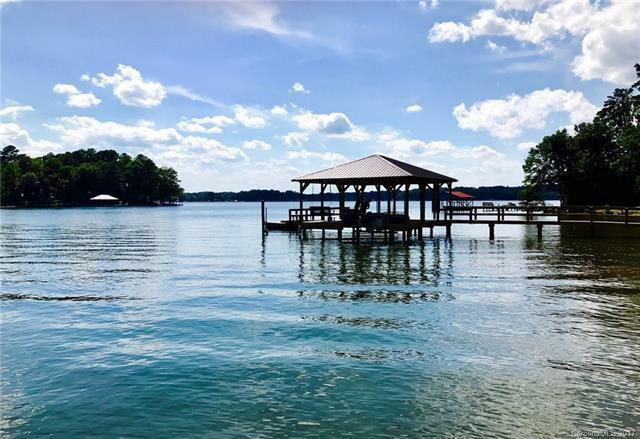 Relax and enjoy 200+ ft of waterfront on this flat, wooded .80-acre lot off Brawley peninsula, 2 miles fromTrump National. Large, COVERED cabana-pier on serene, wide cove off main channel with sunset views & waterdeep enough for a sailboat! BOAT RAMP. There is a single wide mnf. home with built on screened porch & addition that provides 3 sleeping rooms & 2 full baths. SOLD AS-IS. Tear down & build or enjoy as lake weekender. Donot miss this opportunity to grab your waterfront dream!